They're adorable and they actually smell like freshly baked sugar cookies when they're toasting. As for flavor, there's mixed reviews. Personally, I thought they tasted alright. The filling tastes like frosting. You don't expect any kind of flavor explosion from a sugar cookie. So I wasn't disappointed. If your expectations are low and you appreciate the kid-friendly winter characters printed into the frosting... go for it (but be sure to toast them). 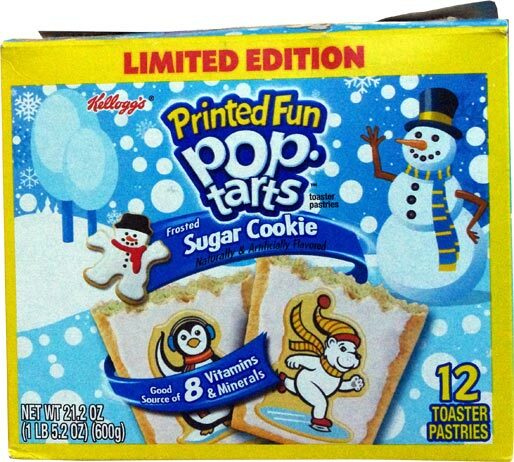 If you're treating yourself to a Pop-Tart and only have them a few times a year, avoid these. Almost every variety of Pop-Tart (except Ice Creme Sandwich and Vanilla Milkshake) tastes better. Nutritional Considerations: Each single pastry serving has 200 calories, 5 grams total fat (2 grams saturated and 0 grams trans), 35 grams total carbs, less than 1 gram dietary fiber, 14 grams sugar and 2 grams protein. 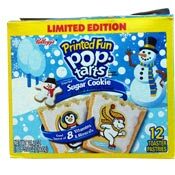 What do you think of Sugar Cookie Pop-Tarts? I love them! I wish they would sell them year round! Pretty darned tasty! I found a few boxes at big lots for $1.70 and figured I should at least try them at that price. I think I will go back for the rest tomorrow. They are dangerous! Both my son and I got burned by the frosting that is like burning marshmallow when hot. It adheres to your skin! I just left an urgent care center where they diagnosed my son with 2nd degree burns. Kellogg's has got to address this issue. My favorite kind of Pop-Tart! Hands down, the best Pop Tarts for me! Your friend is right, they taste just like uncooked dough. I like them pretty good though. They're back. Just saw them at Target. Hope they're new and not just left over from last Christmas. I have been trying to get them. We want to try them, but around here no store ever has them, so disappointed. I even checked Walmart web site, they always seem to have the pumpkin pie kind but we want the sugar cookie. Anyone? I hope they start selling them again this winter. I liked it better than you did. Not the best Pop-Tart, but still pretty good. My favorite is the regular strawberry one with frosting. 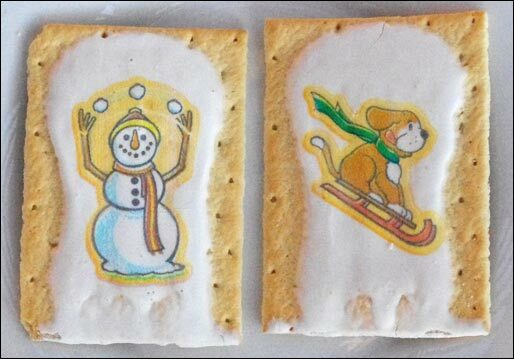 I loved the Sugar Cookie Pop-Tarts. 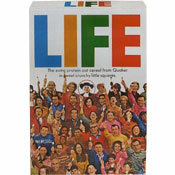 Please put them back in stores immediately. My Daughter and I love these. Especially warmed they taste like a fresh baked cookie. Now I guess you have to love sugar cookies to appreciate these.